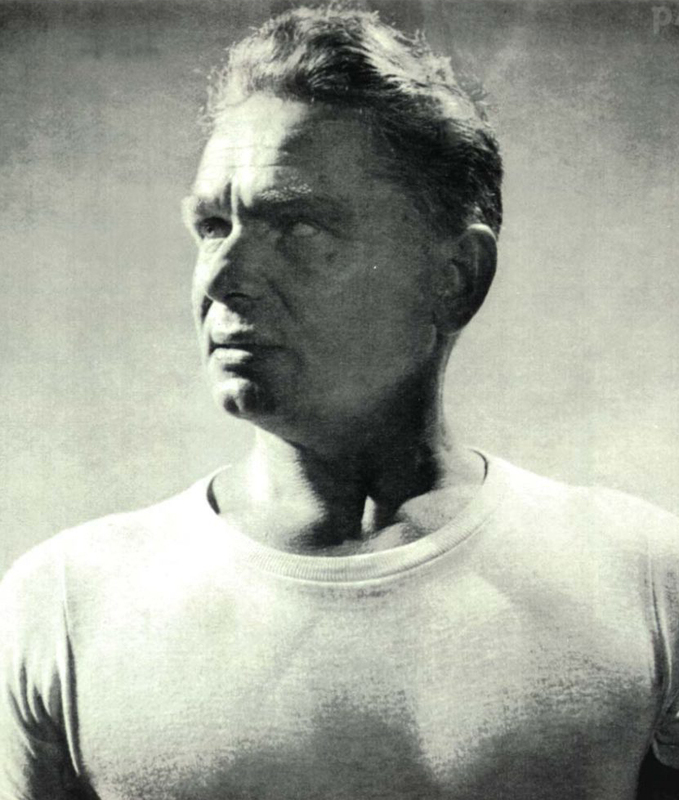 Joseph Pilates (1883 - 1967) developed a comprehensive method of movement education which he called “Contrology” — using mental focus and concentration to integrate awareness of the breath with flowing, coordinated movement “from the powerhouse” (core) to achieve dynamic balance — a physical and mental balance, strength and stamina to meet all of life’s challenges, “so that we may not only be in a better position to earn our daily bread but also so that we may have sufficient vitality in reserve…for the enjoyment of compensating pleasure and relaxation.” —Joseph Pilates, Return to Life Through Contrology. Pilates believed in enjoying life—he was an energetic bon vivant—but he also worked tirelessly to bring increased health and vitality to others. He established a teaching studio in New York, and filled it with equipment he designed and patented to assist in alignment, strengthening, stretching and balancing his clients' muscles to best support their joints and increase circulation and general health. While Joseph Pilates, his wife Clara and his advanced students trained gymnasts, boxers and many, many dancers, including the companies of George Balanchine and Martha Graham, he was also a pioneering troubleshooter and problem solver when dealing with clients’ limitations and injuries. As Balanchine reportedly said, “Pilates is the genius of the body.” Today, many Physical Therapists use Pilates equipment in treating their patients, often referring them to Pilates teachers to make further progress, once the acute stage is passed.